We all want to give our pets the very best, right? 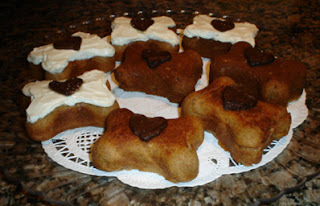 How about some Pumpkin Pupcakes for Halloween?? My friend Angela is the owner of an all natural pet bakery called Furbabies Delectable Delights. Newest follower from Blog Hops Everyday and would love a follow back! P.S I know it is Saturday but better late than never. Right?